Have a question about the Scuba Max Air Supply II Purge and Flex Snorkel? 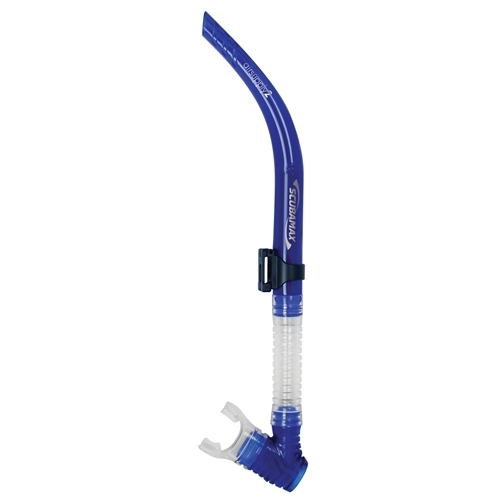 The Air Supply II is one of our basic flex purge silicone dive snorkel. Some features it has is a interchangeable silicone mouthpiece, quick release mask strap retaining clip, and a squeeze-open release snorkel keeper. ScubaMax also made a contoured barrel that reduce water resistance.